There would be many people in us that live in narrow residences or rooms. For such a short spaced living areas the shelves really help us great as you can free more space by storing the clutter above in hanging shelves and racks. However, if you are not having any problem of short space then there is another awesome use of these racks and shelves that you can make, shelves give beautiful display to your items of decors and interest so home decors plan may come in handy by putting the shelves over your blank wall areas. 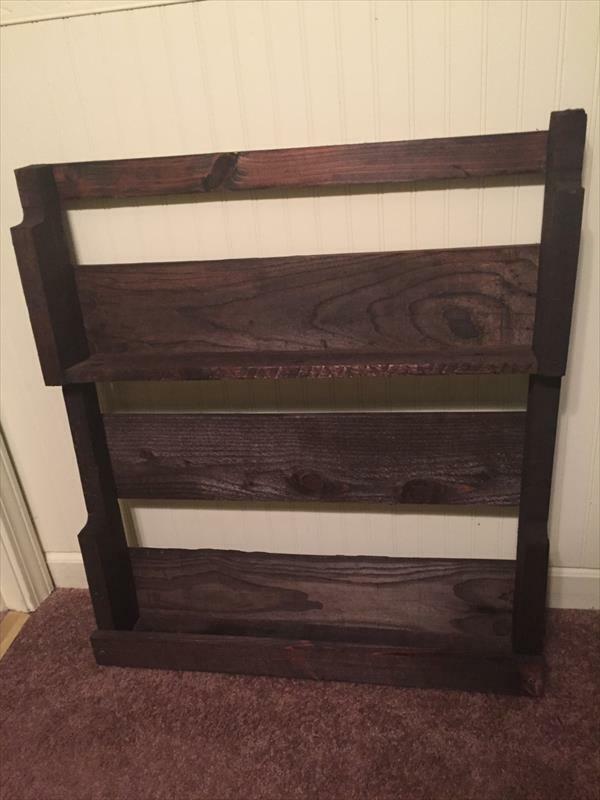 If you want on friendly rates and budget plans then take a look at this DIY pallet rack or wall hanging shelf, purely handcrafted with pallets and has zero cost prices. 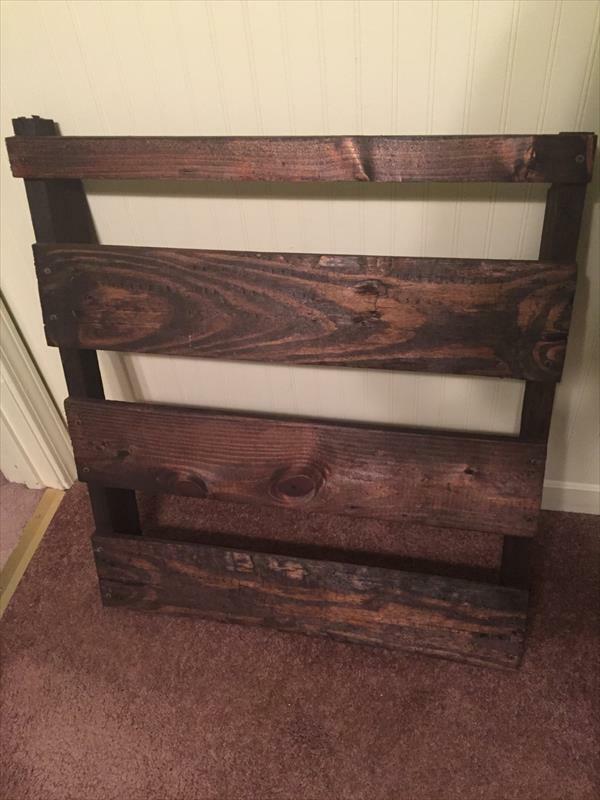 Pallet wood is just free and you can visit the landfill areas or junky yards them to have them in good quantity for awesome crafting work at home. This DIY pallet shelving unit can be mounted on any bathroom, living room or kitchen wall to hold well the related stuff!! Do try this creative DIY pallet idea and keep using the pallets.